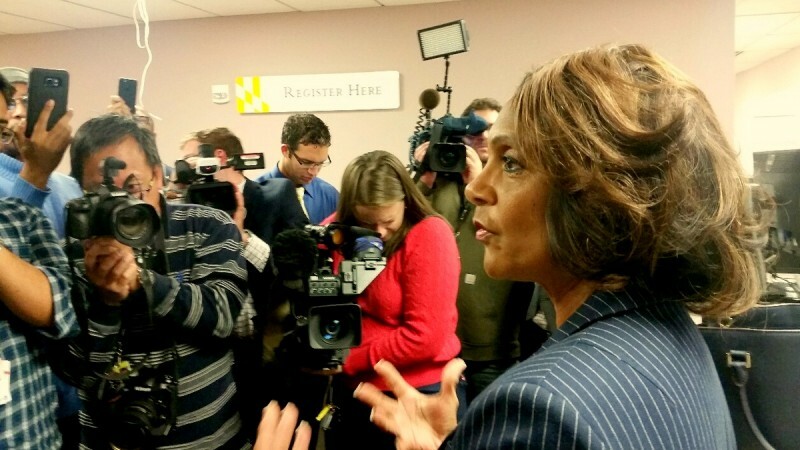 Who contributed to whom in the duel between Catherine Pugh and Sheila Dixon? In her successful run for mayor in 2007, Sheila Dixon raised $1.92 million, according to her fundraiser Rachel Rice. In her attempt to regain City Hall as a write-in candidate last Tuesday, Dixon secured a shade over $10,000, according to her last pre-election campaign report. Meanwhile, the person who narrowly beat her in the Democratic primary was sitting on a pile of cash, spending relatively little of it. 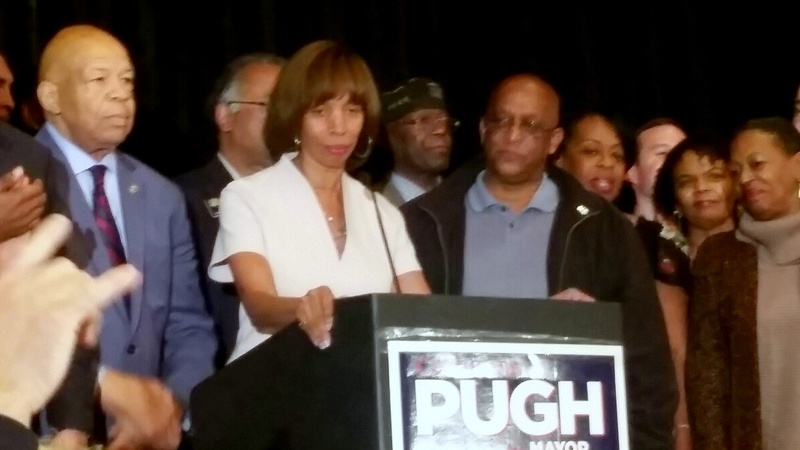 State Sen. Catherine E. Pugh reported a cash balance of $429,086.02 coming into the final stretch of the general election on Tuesday. That amount remained after she had plunked down $23,000 on TV ads in October, mostly, it seems, to remind residents that they were voting for a new mayor on Tuesday. In return, Pugh won 121,646 votes. Dixon’s last minute write-in campaign, announced on October 11, operated on a shoestring. Prior to her announcement, the former mayor had just $4,480 in her election kitty. After that, she got two big donations. National Materials, a company owned by “Demolition King” Pless B. Jones, gave $4,000 to Dixon on October 18. On the same day, M&A Infrastructure Solutions chipped in another $4,000. M&A’s address is listed as the Baltimore County home of Tejpal S. Ahuja. Chief of water engineering when Dixon was mayor, Ahuja now runs DME Consulting, a minority-certified valve and water-main design firm that does work for the Department of Public Works. Adding Dixon’s presumed votes to those cast for Alan Walden, the Republican Party’s mayoral candidate, and Joshua Harris, the Green Party candidate, the total vote count not going to Pugh amounted to 43%. But in terms of money, Pugh’s advantage in the election was overwhelming. In the eyes of developers, contractors and consultants, she became mayor months ago. The cash flowed accordingly. The $255,166 Pugh raised in private contributions between late August and late October compares to $15,248 raised by Harris and just $965 by Walden. Harris picked up nearly as many individual contributors as Pugh did during this period. The big difference was in the amounts given. The average donation to Harris was about $50. The vast majority came from individuals, not companies. Pugh’s average contribution exceeded $1,200, and a large number came from LLCs with names likes AACPH Realty, Boulder Creek Management and AHP 7800 Delano. More specifically, Baltimore’s new mayor got a financial boost from a September 27 fundraiser by Thomas Bozzuto, a waterfront developer, and from $9,000 by Gannett Fleming and its top management, an “on call” water consultant for the Department of Public Works. Other contributions included $6,000 from McGuire Woods, the city’s bond counsel for Harbor Point and Port Covington, and $4,500 from Tradepoint Atlantic, whose general counsel is Pugh confidant and ex-Baltimore County Executive James T. Smith Jr.
Other players could be seen shifting their allegiance to Pugh after supporting Dixon in the primary. Prominently among them: more members of the Paterakis family ($6,000 from Venice Paterakis, the legal maximum in Maryland, and $6,000 from her son, F.G. Smith). Also $3,000 from M. Luis Construction, currently the city’s biggest street paver who held a well-attended fundraiser for Dixon last January. Or in the case of several former aides of outgoing Mayor Stephanie Rawlings-Blake, you can find money finding its way to Pugh. For example, Sharon Pinder. The ex-minority business development chief at City Hall tapped her next-door neighbor to become a $60,500-a-year consultant (they both live in Howard County). Pinder left city government early last year, as did the neighbor, whose consulting contract was quickly terminated. Will her $1,000 contribution to Pugh in late September augur a future city job? Then there is the case of “Demolition King” Jones, who has had a lock on the city’s emergency demolition contracts for over a decade. Over the summer, Jones handed $6,000 over to Pugh through his P&J Contracting Co., then added $6,000 in his own name. Spokesman confirms he was hired by the mayor’s communications office. Brown had just been nominated to fill a vacancy representing the 40th District in the Maryland legislature.